THIS VENUE IS NOW CLOSED FOR REFURBISHMENT. Celebrate in style at this elegant yet wholly unpretentious Baroque champagne bar in the heart of Soho. Dimly-lit, effortlessly elegant and with gleaming Mahogany surfaces, Kettner's has long been synonymous with champagne drinking. With more than 100 producers on its list - including iconic brands, small labels and one English fizz producer - this old-time establishment will offer you the chance to try rare vintages and champagne cocktails in fine surroundings. Bag one of the deep, warm, brown leather sofas, prop yourself up with a velvet cushion or hide away in one of the bookable private nooks, perfect for a romantic, intimate tete-a-tete. If you're feeling peckish the sandwich menu's on hand to provide sustenance for more champagne quaffing; there's something inherently refreshing about washing a hearty ham sandwich down with a slurp of top notch fizzy stuff. As you sit underneath the gleaming chandeliers listening to the strains of live jazz on a grand piano filter in from the room next door it's hard to imagine ever getting the impetus to move. Originally a grand hotel, Kettner's also boasts a modern French restaurant and a club-like space, The Apartment Bar, which is open daily as a bar but can also be hired for events, holding up to 100 guests for a drinks reception or 70 for a seated dinner. 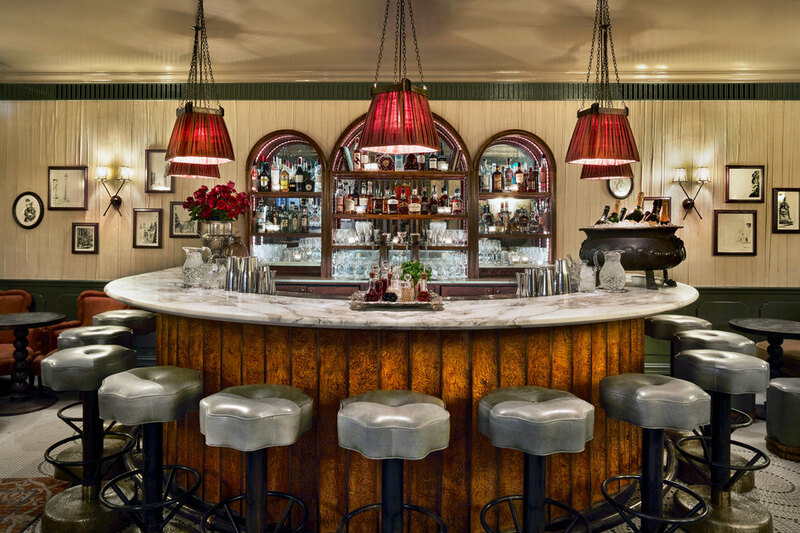 Kettner's Champagne Bar clubs, bars, cabaret nights, casinos and interesting nightlife. What are the best dining options near Kettner's Champagne Bar London? Kettner's Champagne Bar gyms, sporting activities, health & beauty and fitness. The best pubs near London Kettner's Champagne Bar. Where to have your meeting, conference, exhibition, private dining or training course near Kettner's Champagne Bar. From cheap budget accommodation to luxury 5 star suites see our special offers for Kettner's Champagne Bar hotels, including Radisson Blu Edwardian Mercer Street from 87% off.